i am so excited to be doing a review & giveaway for signs.com this week! here’s a little about them and what they’re are capable for doing for you! signs.com makes signs for both businesses and individuals (like you and me!). 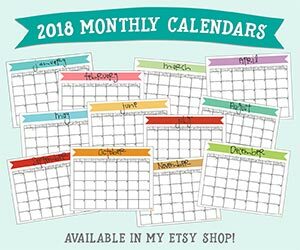 their business-related signs range from vinyl banners to window decals and car decals – for example, if you wanted to advertise your business or etsy shop or blog! in addition to doing banners, yard signs, decals, and magnets, they also do amazing things for home and individual settings. on their blog you can see how their custom banners, yard signs, wall decals and magnets worked perfectly to create an awesome birthday! so jealous! and i totally want to do that next year, btw. as mentioned, the car decals work great for advertising an etsy shop, blog, or other small business such as a home-based preschool. likewise, the wall decals i’ve featured below are fantastic for homeschooling, home decor (ie. vinyl lettering) and much more. 1. spell your child’s name above their bed, on their bedroom door or elsewhere in their room or playroom (or on blocks…see idea #3). this set comes with doubles of all the vowels (except “u”) to make it easier to spell names or other words. 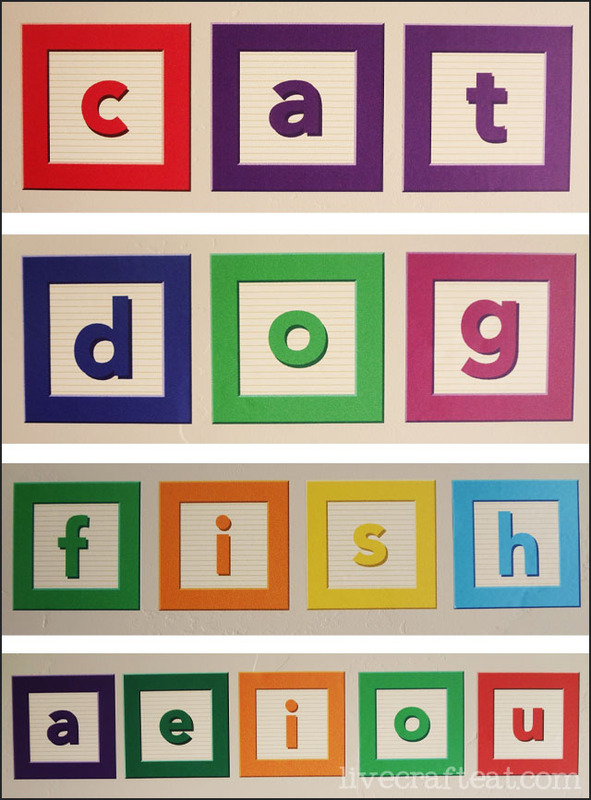 2. spell words in either your child’s room or playroom or homeschooling area (if you do homeschooling with your kids). 3. this one i couldn’t take pictures of, but i would really like to get another set and make wooden blocks out of them. they’re “wall” decals, but from my (limited) experience with vinyl, i bet they’d work pretty well on wood, too. just get blocks of wood cut a little larger than 4″x4″ and stick them on! it would be super cute as a decoration in a child’s room or nursery or even as a learning tool. 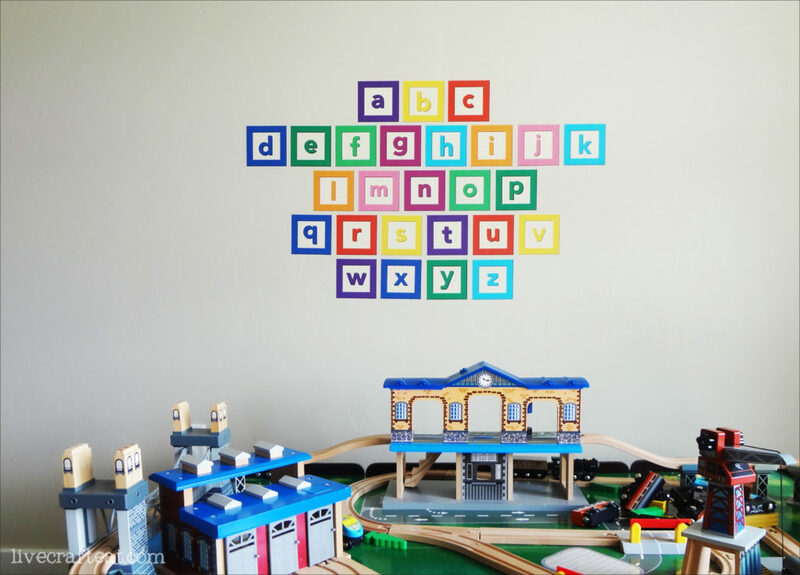 this is what i did with my set: i put the entire 4″x4″ alphabet vinyl wall decal set on the wall in my kids’ playroom. it’s where they spend the majority of their time indoors. and can i tell you that it was ridiculously easy?! it was like using stickers (except without the won’t-come-off-the wall-or-furniture part). 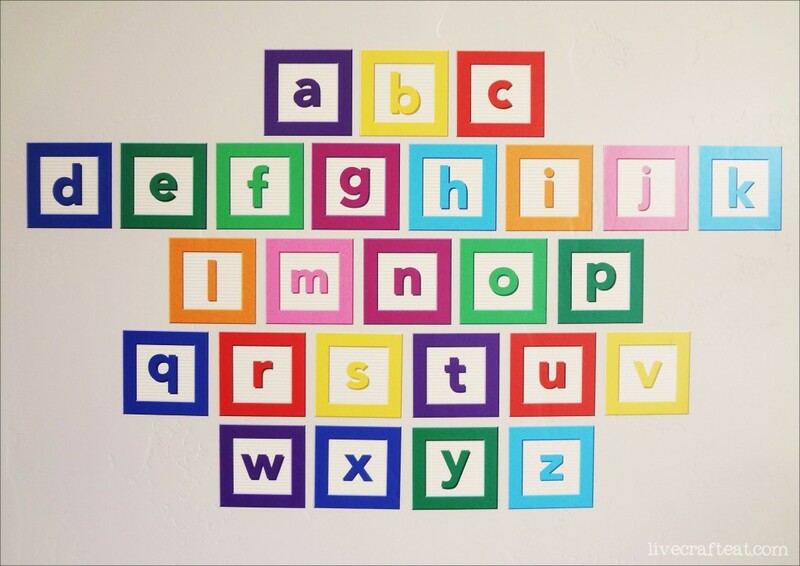 my favorite part is that my kids love it – they’re constantly telling me the letters and my youngest is singing the alphabet while following the letters on the wall. to make things a little more challenging for my older child, i created a few worksheets to get him working on his word endings. he can look at the letters on the wall to help him fill in the blanks. we have a table he can work on in our playroom, so he’s spent a bunch of time there discovering new words! he’s also been using the same colors to write his letters as the colors on the wall. i love it! the great thing about these wall decals is that if you decide later on that you want to move them to a different room or change them up a little bit – no problem! they totally come off without pulling any paint off your walls, and they’ll stick right back onto your new place for them. sweet. would you like to win a set for yourself?! i knew you would! to enter, just read the rules below, and then follow the easy entry options. the more you do, the better your chances of winning! good luck! Cute stickers! I love all the different ways they can be used too! Me too! Love that they look like the old wooden blocks! i’d totally make blocks with these. love them. I am going to use it in my children’s art room to help my youngest learn to recognize all the letters and sounds. These would be great in my girls room. We are always trying to work on letters and numbers. I’m going to use it with the ing /ake/ all words download to enhance my child’s learning. 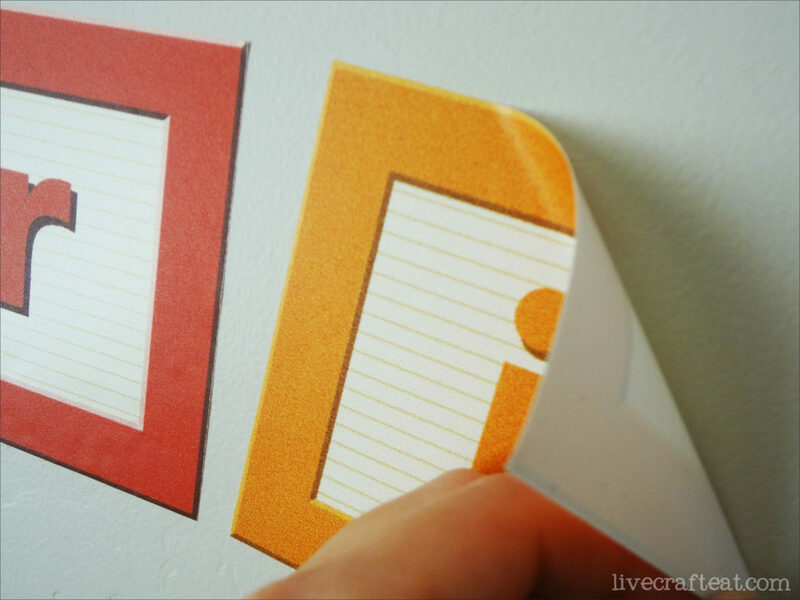 These are super cute–they’d be a great way to decorate my 1-year-old’s room! Would use vinyl letters to decorate Speech/Language classroom. EDUCATIONAL and FUN!